Industry’s #1 Security Key, multi-factor and passwordless authentication. 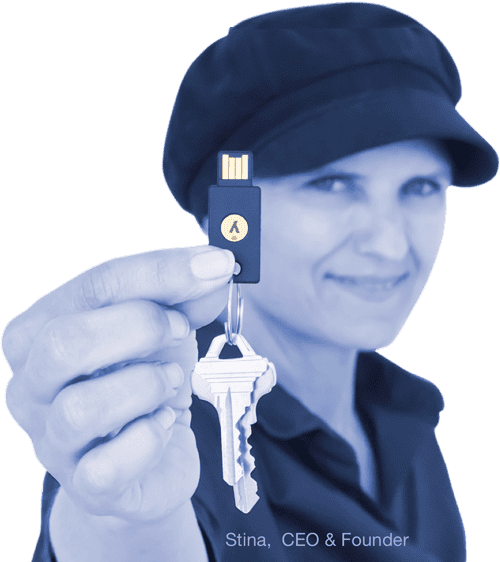 What are YubiKeys from Yubico? Yubico’s YubiKeys are small Multi-Factor Authentication (MFA) security devices that provide secure login for computers, phones, online services, and servers. the YubiKey is designed to reduce risk while saving time for both users and the support team, enabling organizations to recognize significant cost savings in reduced support costs. Why do you need YubiKeys? Integrate YubiOTP natively with the free YubiCloud authentication service, or program your own TOTP or HOTP secrets. Yubico OTP is a simple yet strong authentication mechanism that is supported by all YubiKeys out of the box. Yubico OTP can be used as the second factor in a 2-factor authentication scheme or on its own. The most common pattern is to use Yubico OTP in combination with a username and password.